Ultimate Fighting Championship (UFC) returned to the pay-per-view (PPV) market last Saturday night (Feb. 11, 2017) for UFC 208: “Holm vs. De Randamie,” which took place inside Barclays Center in Brooklyn, New York. The five-fight main card was preceded by the four-bout “Prelims” line up on FOX Sports 1, which — all things considered — returned serviceable numbers for the cable-television network. Out of last year’s 12 pay-per-view prelims on FS 1, six would have done better and six would have done worse even though it would be 25 percent below the 2016 average of 1,168,00 viewers. The average itself is heavily swayed by the big numbers drawn by the prelims before UFC 196, 200, 202, 205 and 207. 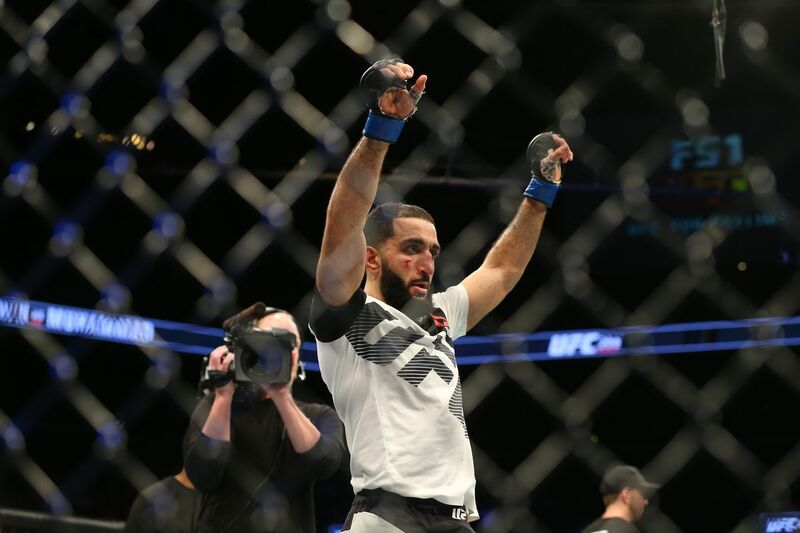 The show peaked at 1,046,000 viewers for the Belal Muhammad decision win over Randy Brown. Our complete “Prelims” recap here. The promotion’s most recent mixed martial arts (MMA) event was headlined by Holly Holm, who came up short against Germaine De Randamie in a five-round showdown for the women’s inaugural featherweight championship (video). In the UFC 208 co-headliner, former middleweight champion Anderson “The Spider” Silva made his return to the win column by turning away rugged 185-pound contender Derek Brunson (see it again here). For much more on UFC 208 click here.